The hardwood greenhouse GT32 from Esschert Design, which is foldable, will make a practical as well as decorative addition to your garden. 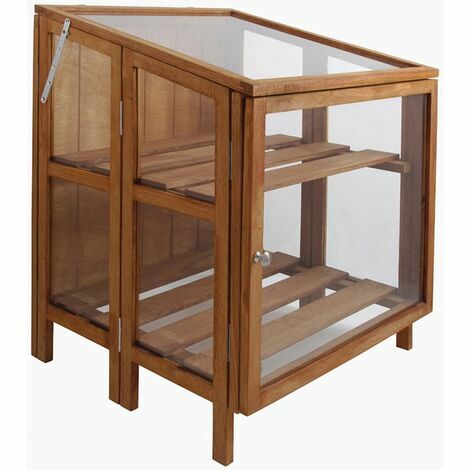 With an adjustable top opening and a door on the front side, this greenhouse will be an ideal home for your plants. The knob on door is made of stainless steel, so there is no need to worry about rust. Since the greenhouse is foldable, it can be easily stored when not in use. Plants are not included in the delivery.